It was widely reported this April that according to a report put out by the United Nations University, there are more cell phone subscriptions in India than sanitary toilets. This fact speaks to India’s breathless proliferation of mobile telephony, contrasted by their staggering gaps in basic health services. Must one come at the expense of the other? What relationship exists between the two? What are the opportunities for connectivity to elevate one’s social or economic status? Questions like these were raised in the course I taught at the MCDM last fall, “Emerging Markets in Digital Media.” The course content was informed by my work at the UW Department of Global Health, where I was based before moving to the north end of campus to join the MCDM full-time three weeks ago. I’ll be offering the course again this fall, as the inaugural class in the new MCDM “Emerging” academic pathway, which includes not only scholarship related to emerging markets, but emerging trends in digital media. While strategic communication, storytelling, and leadership development are my background, I maintain a firm commitment to the value of global health scholarship and reporting, and work to see synergies in all of these fields. 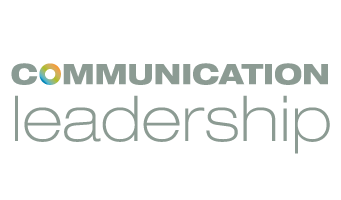 So when Journalism That Matters contacted the MCDM in early July about a survey they were designing with the global health thought leaders in this area, I was keen to share it broadly within the Department of Communication community. In a nutshell, they are collaborating to improve global health journalism in the Northwest, and see this survey as one of the first steps at crafting reporting that is relevant, accessible, and memorable. Please take five minutes if you’re so inclined, and check out the JTM survey. They’d welcome responses in by July 31. Mobile Phones in Developing Countries – Is Building Social Capital Enough?